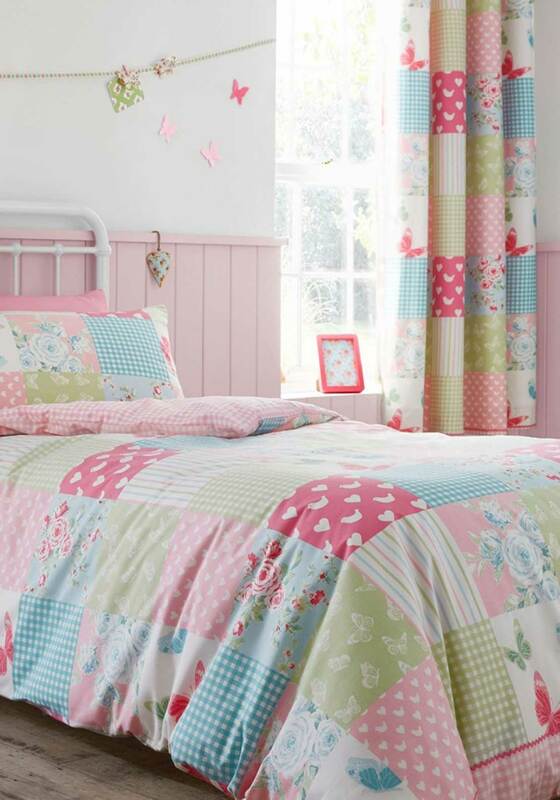 Create the ultimate little girl’s bedroom with the Patchwork curtains from Catherine Lansfield which are the perfect match for the co-ordinating duvet cover set. Made from fully lined cotton blend fabric and featuring an all over patchwork print with squares of florals, butterflies and birds. Designed with an eyelet header.